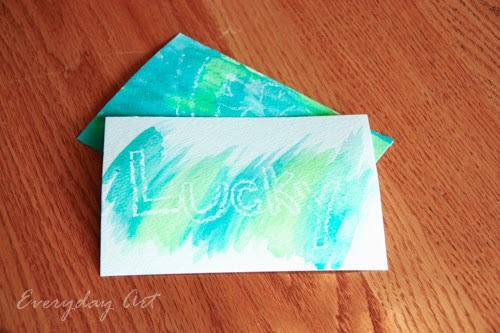 Have you ever done hidden watercolor hidden messages with your kids? The kids love the "magic" of watching the letters appear, plus it is painting, which is always fun for my kids, so this is a win-win activity. 1. Prep the paper with a hidden message or drawing. For my non-reader, I just drew a picture for her. 2. 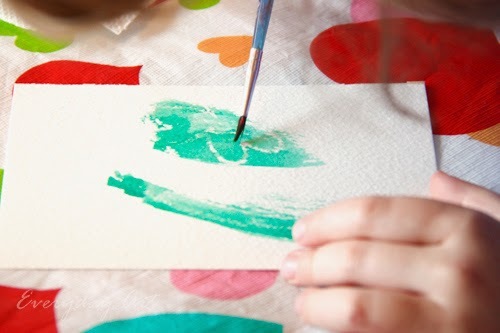 Demonstrate or explain to the kids how to paint the paper with watercolor paint and a secret message will appear.